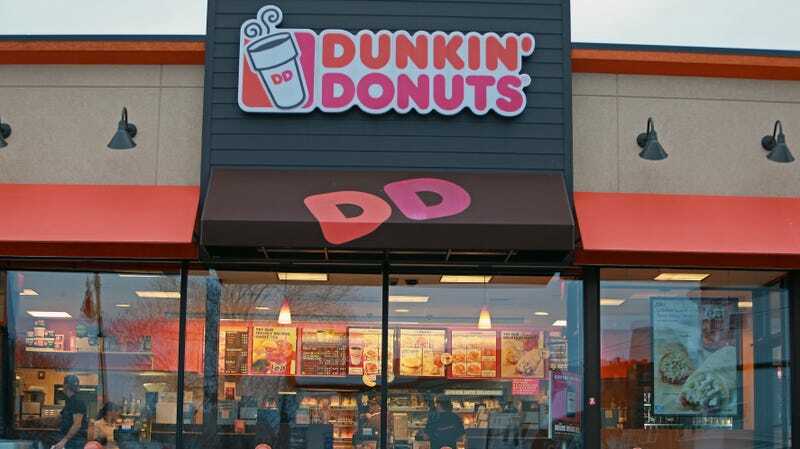 Dunkin’ Donuts seems to have experienced its adult awakening. In the last year, it has considered dropping Donuts from its name, pledged to rid itself of artificial coloring and its iconic but environmentally harmful foam cups, and is in the midst of updating many of its locations to be “NextGen” (this includes moving its donut display cases to the front, closer to the customer). Here at The Takeout we’re pro- classing things up, so kudos to Dunkin’ Donuts for spiffing up its image, getting into Coltrane, shopping for Kierkegaard at the used book store. Now they’re no longer a fast-food chain, but a restaurant! Ooh fancy! That said, if Dunkin’s espresso game is as good as their coffee, we’re fully on board. What fast food item was unfairly excluded from our top 10 list?